Country-pop may have ruled the charts, but Kevin Fowler established himself impressively throughout Texas by making modest honky tonk-style country for regular folks. Raised in the West Texas town Amarillo, the guitarist began his musical career on both drums and piano. He left Texas at age 20 for the bright lights of Los Angeles, where he studied music at the Guitar Institute of Technology. He returned to Texas soon after and settled in Austin, where he joined the hard rock band Dangerous Toys. Following this eye-opening stint, Fowler started his own Southern hard rock band, Thunderfoot. He soon came to the realization, however, that he couldn't shake his West Texas roots and gave up hard rock for country, the style of music he grew up with. Fowler put together a country band in 1998 and began playing Tuesday nights at Babe's on Sixth Street in Austin. 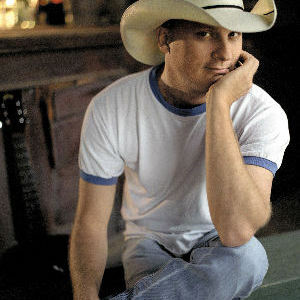 Within two years, he'd begun recording albums and struck big with his self-released Beer, Bait and Ammo (2000). The album sold around 30,000 copies in the Texas area and garnered an impressive amount of airplay, particularly for the album's title track. The song became somewhat of a Texas anthem; Mark Chesnutt made the song part of his live show, and Sammy Kershaw recorded it. Fowler returned in 2002 with his third album, High on the Hog, and boasted some impressive guests, including Willie Nelson and David Lee Garza.